The Miners of Bolivia, which has been touring British coal mining areas, including Cornwall, ended up at the TUC in London in January. 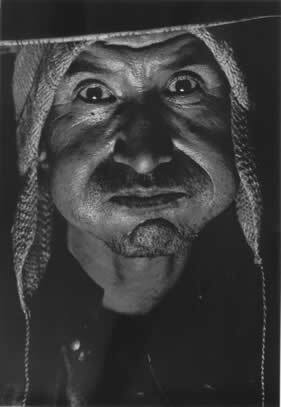 Wicky’s captured this gripping and sometimes shocking series of black and white images on film between 1985 and 2001. 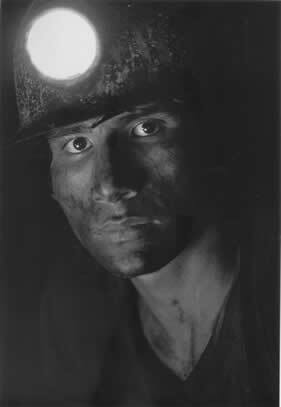 He had promised himself that he would one day record the story of the Bolivian miners after he had followed a worker into the entrance of one of the shafts, and stayed there for a day. He emerged from the experience deeply moved. 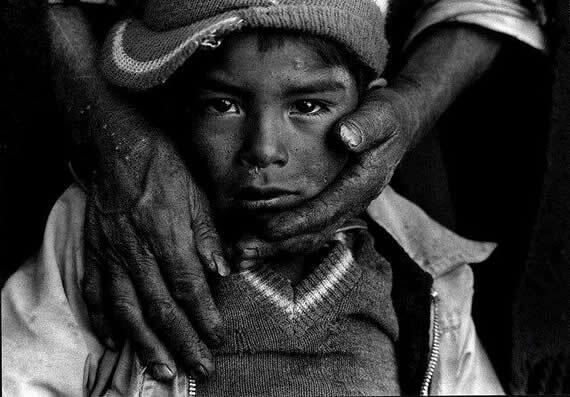 Conditions were grim – this was before the liberating election of the Evo Morales government in 2006. There was little care for health and safety, making the underground work very dangerous. 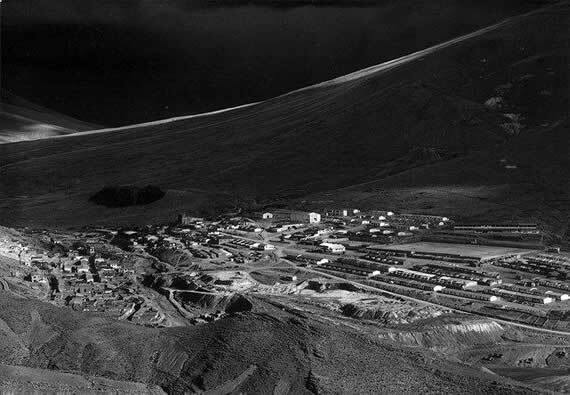 Pay was poor, even the living quarters were little better than temporary camps, arbitrarily dumped on the forbidding Bolivian anti-plano, or high plain, a plateau over 10,000 square kilometres in size 4000 metres above sea level. 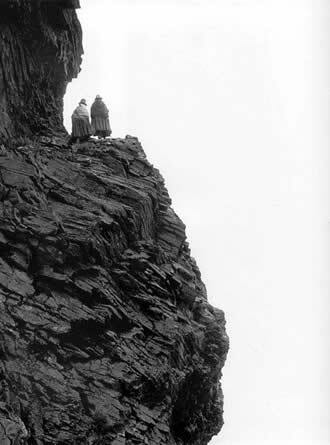 Around the mines, groups of palliris – miners’ widows, abandoned wives or unmarried mothers – would pick through vast heaps of stones, selecting those that had ore in them. Working with their hands or rudimentary tools, they filled the sacks before struggling down dangerous paths to the mining centre. They needed the money to look after their children. “More than once”, said Wicky “I said to myself: ‘there one feels very close to hell’”. His aim, he says, was not to photograph with rose-tinted spectacles or be sensationalist or miserabilist. 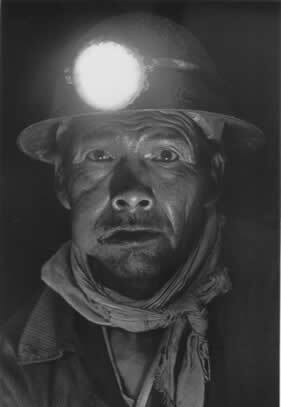 “I have tried to tell of the life of these people of the mine with respect. My description is not complete. That would need the view of the economist, the doctor, the historian, the sociologist, the politician. 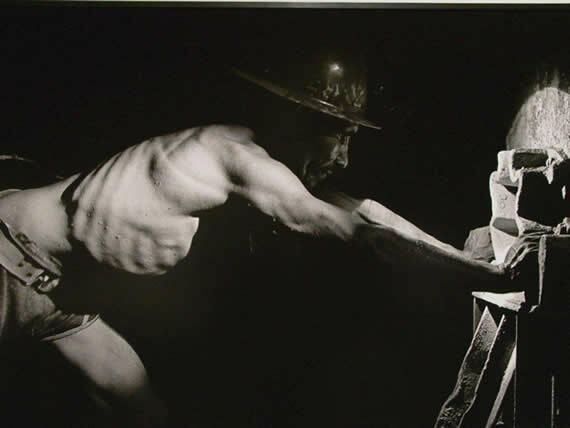 I hope the miners have recognised themselves in these pictures in the same way that I have tried, through the photos, to see a part of them in me”. 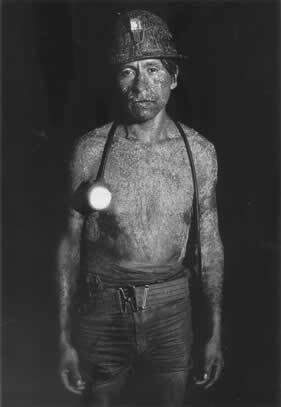 Wicky ended up visiting some 30 Bolivian mines over a period of 17 years and his collection of 90 photographs convey the reality of the industry in the deep veins of Andes mountains – the harsh working conditions and continuing poverty that prevails. In 1976 a bitter month-long general strike of miners in Bolivia took place. The military dictatorship of General Hugo Banzer imprisoned the union leaders, cut food and water supplies to the miners’ HQs, took over the radio stations and imposed a press blackout. Hundreds of workers were sacked, homes were raided and families intimidated. A year later the army was still occupying the major mines. The NUM sent a secret delegation from its National Executive Committee to Bolivia in 1977. Meetings were held in secret to avoid reprisals and protect vulnerable leaders. The report of the delegation called on the British government to cancel a £19m proposed grant to COMIBOL, the state mining organisation. The Banzer regime collapsed a year later, but conditions did not improve much until 2006. 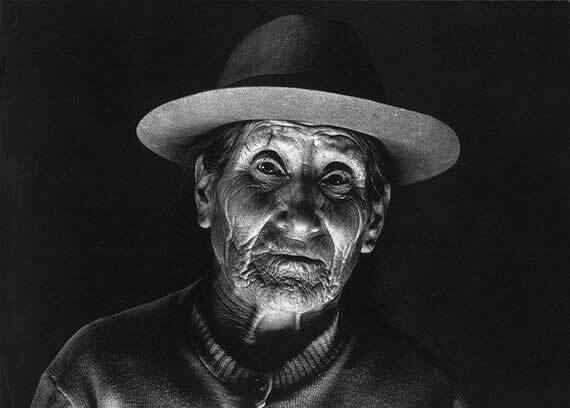 If the chance of seeing the collection of photographs of Bolivian tin and silver miners by Swiss photographer Jean-Claude Wicky comes your way, take it. The exhibition was hosted by the Durham Miners Association, of the NUM.